Apple Capital caters asset lending, equipment & invoice financing, small commercial loans and so on. It has regional offices in Houston & Dallas-Fort Worth in Texas, Jacksonville in Florida and Denver in Colorado. It is equipped adequately to provide for the capital requirements of the modern commercial marketplace. The company usually approves financing in about two hours or so and the amount is delivered within a few days. 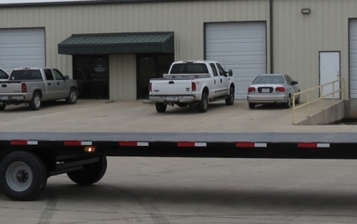 Keystone Equipment Finance Corp. provides financing solutions exclusively for buying trailers, trucks and other commercial equipment. Their monthly payment options are affordable and can bear tax advantages. They also accommodate lower payment for those with a seasonal business. Besides that, their customizable financing can be tailored as per your requirements. Direct Capital has been offering capital to small as well as mid-sized trades for over a couple of decades. So far, they have lent out $2.25 billion to more than 80,000 businesses. They have 3 different financing options and can offer up to $150,000 equipment financing for even 72 months. They provide deferred, seasonal and monthly payment options and sanction loans within a day as well. 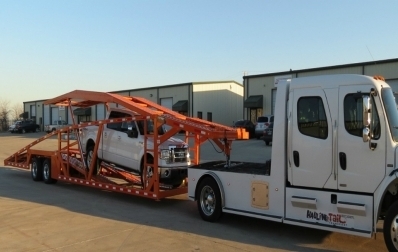 Commercial Fleet Financing Inc. lends out loans primarily to moving, construction, trucking and of course, towing industries. 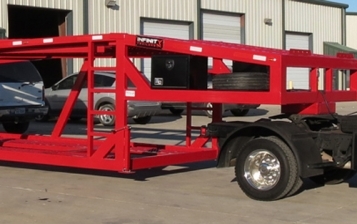 They offer up to $150,000 for truck & trailer financing, and application is usually approved within a day. Tax returns are not required at all. Premier Truck Group sells new Western Star, Sprinter & Freightliner commercial vehicles and used trucks. But the company can also finance truck purchases with the help of on-site finance managers. Montana Commercial Credit has got excellent financing and leasing programs designed as per the needs of commercial businesses requiring equipment for their trade. In order to ensure the convenience of clients, their down payment amount is very less. These are the firms who can finance your transaction with Infinity Trailers. Stay tuned to our blog space for more.